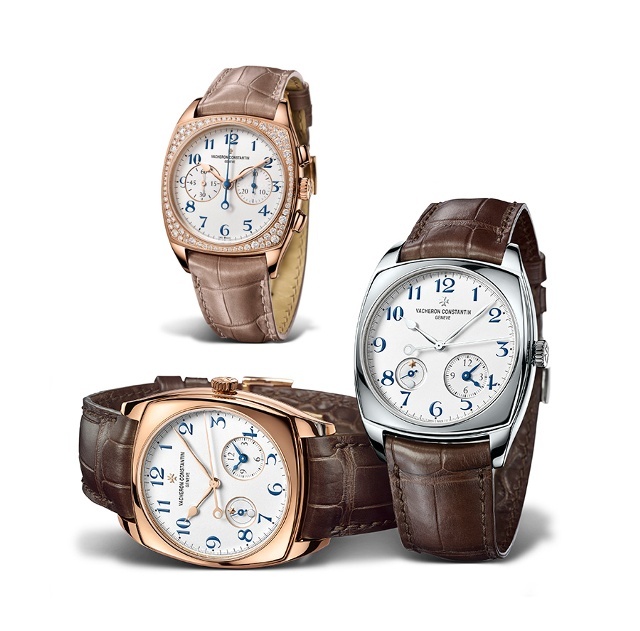 Among the highlights at SIHH 2015 is Vacheron Constantin’s new Harmony collection of chronographs and dual-timers, which mark the firm’s 260th anniversary. While the entire collection is being lauded by many observers, the Harmony Ultra-Thin Grande Complication Chronograph, a ten-piece limited-edition ultra-slim split-seconds chronograph, is drawing much of the attention, as is the monopusher chronograph with pulsimeter. A product of eight years of development, the ultra-thin model’s self-winding movement, Caliber 3500, measures 5.20 millimeters thick and its case measures 8.40 millimeters, apparently a new record in thinness for a watch of this type. But in addition to its thinness, the watch, like the other Harmony models, recalls the company’s pocket watch chronographs as well as its first wrist chronographs from 1917 and, particularly, to a 1928 monopusher model. The cushion shape revisits 1920s designs. 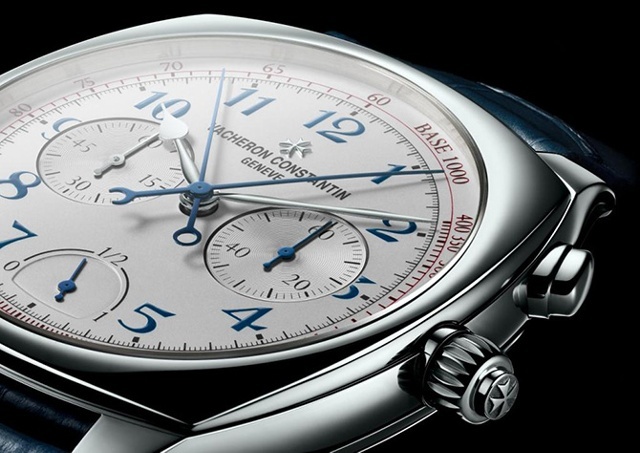 The other chronograph models include a monopusher tourbillon chronograph, driven by manual-winding Caliber 3200; the previously noted monopusher pulsimeter, with manual-winding Caliber 3300 – a variation directly inspired by the 1928 model; and a double-pusher ladies’ chronograph powered by manual-winding Caliber 1142. Non-chrono Harmony debuts include a trio of dual-time models, including a model designed with 84 diamonds for women. All told, Vacheron Constantin debuts four all-new calibers as well as an evolution of one existing caliber. 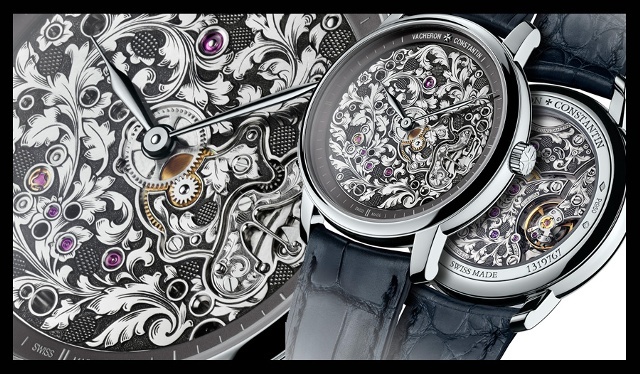 In addition to the Harmony collection, Vacheron Constantin this year adds two intricately decorated Méchaniques Gravées models that feature delicate floral engravings and platinum cases, and a set of twelve crystal table clocks, each made with three-day power reserve movements and constant force devices. The 260th anniversary chronograph pieces are primarily limited edition models, while the crystal clocks are set to debut later this year. 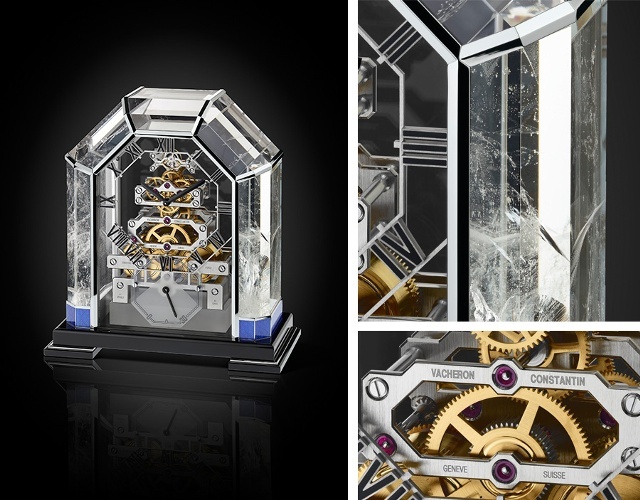 Vacheron Constantin reports that the first clock, on display at SIHH, has been sold. 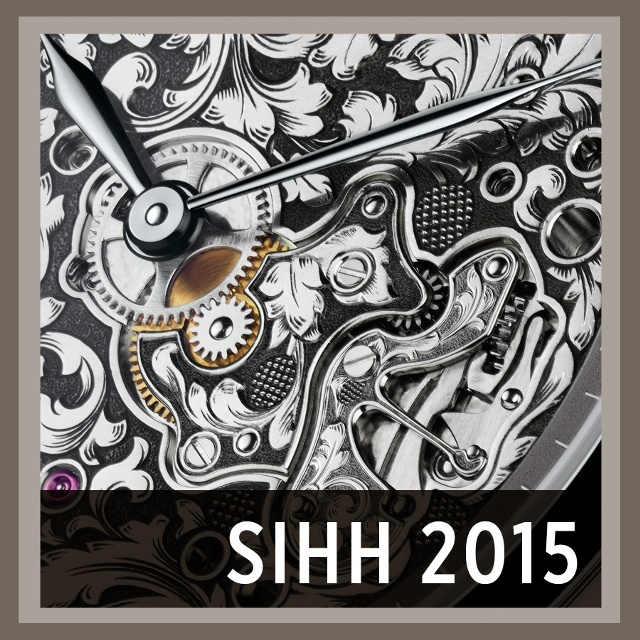 In addition, the company adds that by the end of 2015 all its watches will be certified by the Geneva Seal. International Watch will detail these Vacheron Constantin debuts and all the other SIHH 2015 releases in upcoming reports online and in the April print edition.